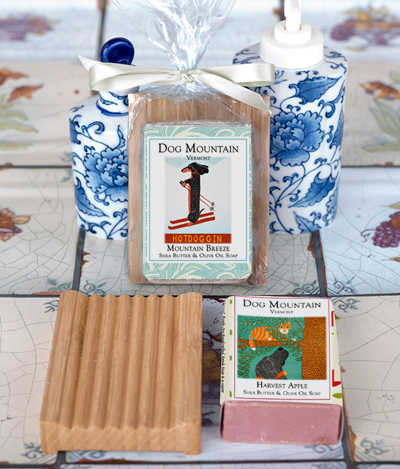 Dog Mountain's Single Bar Gift Set includes a handcrafted, cold-processed, soap of your choice with a wood soap saver. Soaps are made with the finest all natural ingredients of pure saponified Shea Butter, Olive, Coconut, and Palm oil. 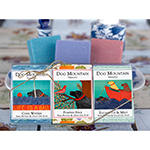 Blended with the highest quality fragrances, herbs, and color. Vegan, Gluten Free & Cruelty Free. Fair Trade.